There is money in trash. 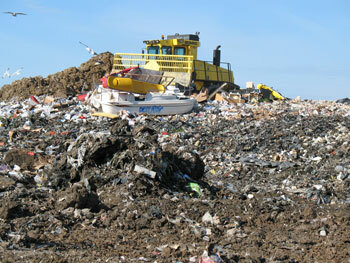 Millions of dollars are being thrown away every year, in the form of waste left at the local landfill. It's a revenue stream that some are managing to take advantage of, and Kent County is hoping others take notice. There are a few spots in Kent County where all of time, space, and matter is devoured. Where evidence of our existence is compressed and consigned to the darkness under layers of soil and clay. A landfill may be the closest thing earthbound humans may come to visiting a black hole, outside of the odd hadron collider, but they're no less threatening. 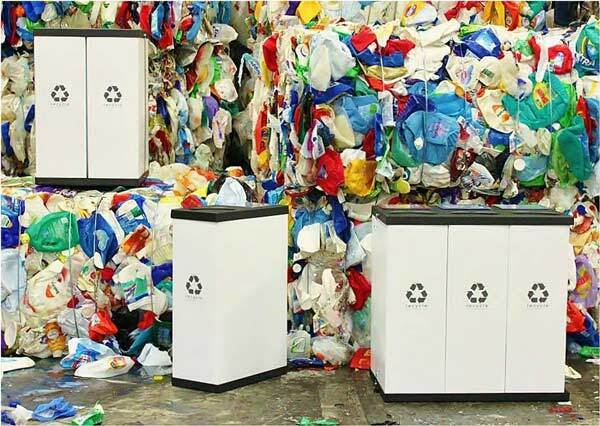 "You stand at the base of one and you realize, there's got to be a better way," says Gershman, Brickner & Bratton, Inc. (GBB) Solid Waste Management Consultant Jennifer Porter. The South Kent Landfill, image courtesy Kent County.GBB is consulting with Kent County on a new Resource Park planned for 200 acres of land between Kent and Allegan counties, abutting the South Kent landfill, which is estimated to reach its capacity before 2030. Untold millions of dollars in reclaimable resources are buried in those landfills every year, and likely more. There are yet no reliable ways to measure everything that winds up at the dump, outside of picking through the trash, but the county has estimates on what its residents are throwing away. What are we throwing away? A report by the West Michigan Sustainable Business Forum in 2016 looked at a number of landfills throughout the state, including those in West Michigan. "They delivered a pretty comprehensive understanding of what is being put into general trash cans," says Kristin Wieland, marketing and communications manager at the Kent County Department of Public Works. "About 35 percent of what people put in their trash is organic material; food scraps, a little bit of plant debris, not outdoor waste. It could be better used at a facility like a composter, or some kind of organic processing plant." Construction materials and industrial waste, meanwhile, make up a large percentage of the landfill substrata. They have not been measured as precisely as residential waste streams, but new initiatives to reclaim those resources, like those to be discussed at the Building Materials Reuse Association conference in September, are being prioritized. 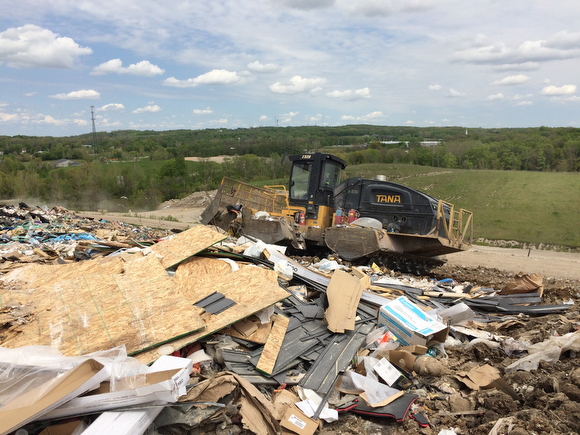 "There are a lot of building materials and resources that are winding up in landfills," Wieland says. "People are actually talking about deconstructing things instead of just demolishing them. We’re looking at all the waste materials that come out of the building industry and reusing them is one of the ways to reduce that waste." People are looking for ways to use resources smarter, and use them again. In building their homes, in building their products, in building their lives. They're trying new ideas. Or, at least, recycled ones. "We're looking at identifying the specific waste streams that could be better used than in a landfill, and there are a lot of them," Wieland says. Kent County has a vision to reduce waste and cut landfill usage by 20 percent by 2020, and 90 percent by 2030. Making that reduction will take some systemic changes, but DPW has an idea of where to start. Plastic cast-offs from injection molding. 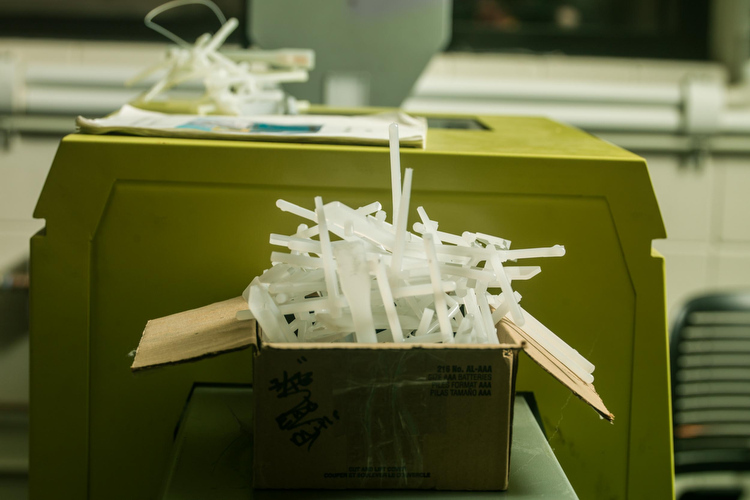 Looking at plastics going into the trash that have no value for recycling, the county and GBB are hoping to invite specialized processors to lease a plot of the Resource Park, and get to work on returning that material to manufacturing. Furniture manufacturers can use low-grade plastics produced by a reclamation plant for use in the inner structure of a cushion, for example. It’s simply a matter of separating that plastic from the landfill, cleaning it, converting it into a usable product, like pelletized plastic, and selling it to a manufacturer. Apart from plastic, wood is another largely wasted resource, one that’s yet to be met with a worthy reclamation strategy. “We actually don't have a great handle on how much wood is going in," Wieland says. That’s partly because of construction and demolition operations that offload their waste en masse, without separating it into more useful streams. But that doesn’t mean it can’t be. The Resource Park near the South Kent Landfill is one way Kent County hopes to reach its sustainability goals by 2030. But it wasn’t developed from scratch. Even the idea was recycled, in a sense. From one Cool City to the sunny Southwest, Porter and Wieland traveled to Phoenix, Ariz. to witness the future of sustainability. Phoenix’s approach to waste management, composting, and fostering a community of innovation around those responsibilities is nationally renown. Through the city’s Reimagine Phoenix initiative, a call for “entrepreneurs and innovators with market-ready and emerging technologies or manufacturing processes that transform trash into resources” was put out. The resulting RFPs brought a number of new businesses to the area who are now driving innovation in the industry. And many other public works departments, like those in Grand Rapids are taking notice. The project started only two years ago, and already the results are clear. As of 2017, Phoenix measured its landfill diversion rate at 30 percent, well on the way towards 40 in another decade. And that’s where Kent County comes in. Partnering with GBB, the county hopes to replicate the success seen in Phoenix. The public was engaged with a series of questions in November 2017. Requests for proposals (RFP) are being drafted to attract respondents who would want to be tenants in the Resource Park. The ideal clients will be industrious, and willing to get their hands a little dirty. If the county project goes as planned, it will involve a community of businesses, waste haulers, environmental groups, and residents who work with and benefit from the resource park. The county has chosen 10 individuals from these areas to follow the process. Their report will be reviewed in April, and by the end of the summer, incorporated into a master plan for the park. Kent County currently collects several different sorts of recyclable materials at a recovery facility on Wealthy Street. The same goes for the South Kent landfill, and the Waste to Energy facility. Any of those waste streams could be something for a processing plant to capitalize on in the new Resource Park. “I think it really is the future of how resource management is going to happen in this country,” Porter says. Elsewhere in West Michigan, academia is concentrating on material conservation, as well. At the Kendall College of Art and Design, the Material ConneXion offers students a chance to browse more than 1050 samples from an archive of more than 7,000 materials in the Woodbridge building. And no shortage of innovation has come out of that address, where fashion and design students are learning to work with the properties of cutting edge synthetics and organic materials. 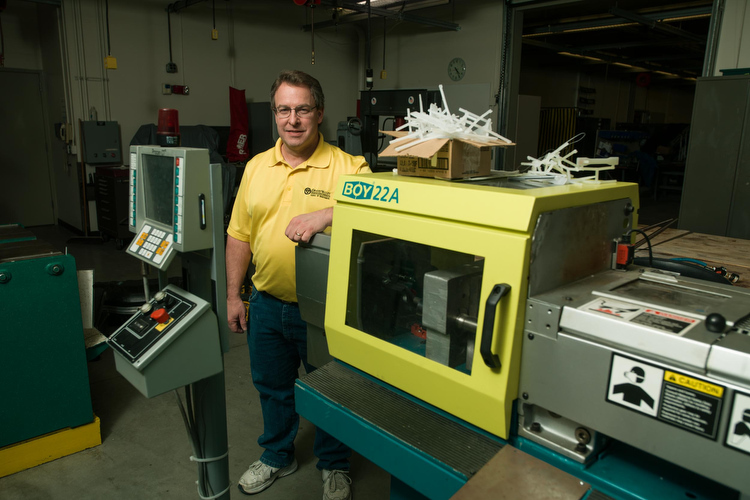 At Grand Valley State University, the Kennedy Hall of Engineering is fostering work on the various design trade-offs between modern sustainable materials used in manufacturing and construction. In Europe, where the fee for waste disposal is much higher, trash diversion projects have created an economic boom for certain types “dirty work.” And, thanks to regional educational efforts emphasizing reuse over waste, much of the materials arrive preprocessed, and sorted, before they arrive at facilities based in resource parks like the one Kent County has set its sights on. West Michigan has experienced heavy growth in the last few decades, and with that growth has come even more deposits into the local landfills. You don’t need a telescope to see how much of an impact they have on the area, maybe just a drive down U.S. 131. They’re there, and will be for many years to come. But whether or not they will keep growing is now in debate.